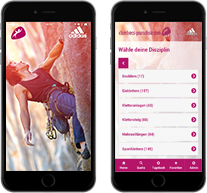 There are so many climbing options in the Tirol West region! The climbing areas offer more than 300 sport climbing routes, several multi pitches and two via ferratas. The areas lie in the sun and are easy accessible. They are recommended all year round. Breathtaking views and great climbing experience guaranteed! Galugg via ferrata: If you don’t want to be bothered by a long access hike you are recommended to do the Galugg via ferrata. The access hike only takes 5 minutes from the parking lot of the hospital in Zams. The route is graded B/C. It starts relatively easy and gets harder further up. The via ferrata is split in the upper part. The Western route is a bit longer and more exposed. At the exit, there is a bench where you can have a rest and enjoy the view over the whole valley and the Inn river. Steinsee via ferrata: The Steinsee via ferrata is ideal if you want to spend only half a day in untouched nature around the Steinseehütte hut. The type of rock is limestone. The via ferrata is located in the Lechtal Alps and offers breathtaking views onto the idyllic Steinsee lake and rock walls between the Steinkarturm mountain and Steinkarspitze peak. The route is graded B/C and can also be climbed with experienced children with additional securing. The only down side is the relatively long access hike. It takes one hour from the Steinseehütte hut to get to the starting point of the via ferrata.